Antigua and Barbuda is an island country located in the eastern Caribbean Sea. The country's territory consists of two main inhabited islands (Antigua and Barbuda) territory as well as a number of smaller islands. As of 2009, the country had an estimated population of 85,632. 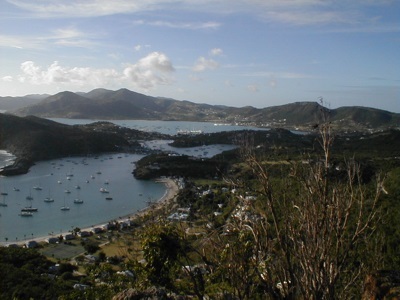 The capital and largest city, St. John's, which is located on Antigua has a population of about 31,000. Antigua is a world famous tourist destination, known for its luxury resorts, and tourism accounts for about half of the country's GDP. Breathtaking beaches, extraordinary wildlife and a lush, accessible rainforest make the islands of Antigua and Barbuda are a Caribbean fairytale. Be inspired to visit by the brand new Insight Pocket Guide Antigua and Barbuda, a concise, full-color guide that combines lively text with vivid photography to highlight the best that the islands have to offer. Where To Go details all the key sights on a tour of both islands, from the colonial architecture of Antigua’s capital St John’s and a trip through lush rainforest to the impressive Frigate Bird Sanctuary on Barbuda, while handy maps on the cover flaps help you find your way around, and are cross-referenced to the text. Top 10 Attractions gives a run-down of the best sights to take in on your trip, including Fig Tree Drive through the green rainforest and the fantastic marinas of Nelson’s Dockyard, Falmouth and English Harbours. 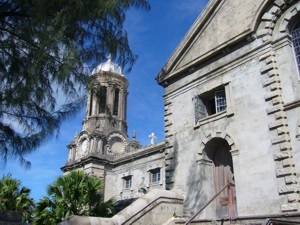 A Perfect Tour of Antigua provides an itinerary for a week on the largest island. What To Do is a snapshot of ways to spend your spare time, from shopping in St John’s to the best places to calypso the night away. Essential information on the history and culture of the islands. Eating Out covers the islands’ best cuisine. A–Z of all the practical information you’ll need. About Insight Guides: Insight Guides has over 40 years’ experience of publishing high-quality, visual travel guides. We produce around 400 full-color print guide books and maps as well as picture-packed eBooks to meet different travelers’ needs. Insight Guides’ unique combination of beautiful travel photography and focus on history and culture together create a unique visual reference and planning tool to inspire your next adventure. This formidable compilation is the result of firsthand experience and over two years of research. The Antigua & Barbuda Island Guide provides insightful information that allows visitors to feel like locals while enjoying the indisputable beauty of this Caribbean nation. GAIN INSIGHT – Behind those long stretches of white sand beach and turquoise colored water is a vibrant culture all its own. Get an insightful look at Antigua & Barbuda’s history, culture, environment, politics, and people. TOUR THE TWIN-ISLANDS – With 8 detailed maps and resources for getting around, let the Antigua & Barbuda Island Guide steer you in the right direction while keeping you informed on everything the island has to offer. EAT OUT – An exhaustive dining guide highlights those hidden spots where locals go to dine and points out internationally acclaimed restaurants. FIND ACCOMMODATIONS – From first class resorts to hilltop villas to deserted beachfront cabins, Antigua & Barbuda has it all when it comes to finding a place to stay (you just have to know where to look). ARRANGE ACTIVITIES – Are you dreaming about landing that big marlin? Or wanting to search for sunken treasure off Barbuda’s coast? How about chartering your own private yacht for the day? It’s all here waiting for you. A guide to Antigua and Barbuda provides practical information on the islands' accommodations, nightlife, restaurants, and shopping, along with accounts of its history, environnment, ecology, and culture. In amazing full-color, Fodor's Essential Caribbean covers the top destinations in the Caribbean, from the Dominican Republic and Jamaica to Turks & Caicos and U.S. Virgin Islands. The guide reviews the best each island has to offer, including activities, resorts, restaurants, nightspots, shops, and more. It's a complete planning tool that will help travelers put together the perfect trip to an island paradise. • Coverage of Anguilla; Antigua and Barbuda; Aruba; Barbados; British Virgin Islands; Cayman Islands; Curaçao; Dominican Republic; Guadeloupe; Jamaica; Martinique; Puerto Rico; St. Barthelemy; St. Kitts and Nevis; St. Lucia; St. Maarten/St. Martin; Turks and Caicos Islands; United States Virgin Islands. Planning to focus on just part of the Caribbean? Check out Fodor's guides to Aruba; Bahamas; Barbados & St. Lucia; Bermuda; Cayman Islands; Cuba; Puerto Rico; St. Maarten/St. 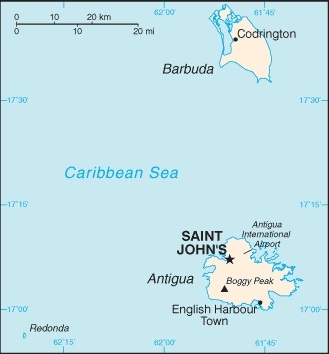 Martin, St. Barth & Anguilla; Turks & Caicos Islands; and U.S. & British Virgin Islands.